Copyright © , Lake Erie Fence Co. Please read these terms carefully. If you proceed to use this website you agree to abide by these rules. 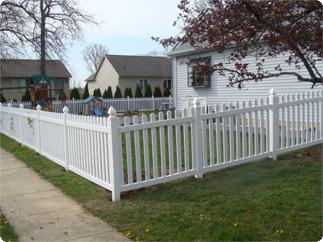 Lake Erie Fence Co. reserves the right to make additions, deletions, or modifications to the information on this website at any time without prior notification. The content and information on this website could contain inaccuracies, typographical errors, or other types of errors. While we strive to provide accurate information, we make no guarantee that inaccuracies may exist. TO THE EXTENT PERMITTED BY LAW, THE PRODUCTS AND INFORMATION ON THIS WEBSITE ARE PROVIDED "AS IS" AND WITHOUT WARRANTY AND ALL WARRANTIES OF ANY KIND EITHER EXPRESS OR IMPLIED, INCLUDING BUT NOT LIMITED TO, THE IMPLIED WARRANTIES OF MERCHANTABILITY, FITNESS FOR A PARTICULAR PURPOSE, OR NON-INFRINGEMENT, ARE HERBY DISCLAIMED AND WAIVED. LAKE ERIE FENCE CO. WILL NOT BE LIABLE FOR ANY DAMAGES OF ANY KIND ARISING FROM THE USE OF THIS WEBSITE, INCLUDING, BUT NOT LIMITED TO DIRECT, INDIRECT, INCIDENTAL, PUNITIVE, AND CONSEQUENTIAL DAMAGES. Various logos, trademarks, or images used on this website are the property of Lake Erie Fence Co. or our associated companies/organizations. Visitors are not permitted to use these logos, trademarks, or images without the prior written consent of Lake Erie Fence Co. or the party that owns the respective logo/trademark/image. Lake Erie Fence Co. is committed to respecting the privacy of our website visitors. Any data which you provide us is not shared with third parties unless required by law. Personally identifiable information will not be sold, rented, or exchanged with any other organization or entity unless you are first notified and expressly agree to it. This website contains links to other websites. 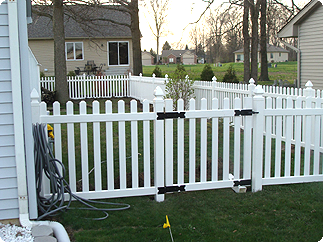 Lake Erie Fence Co. is not responsible for the accuracy or reliability of any information, advice, data, opinions, or statements found on these websites.